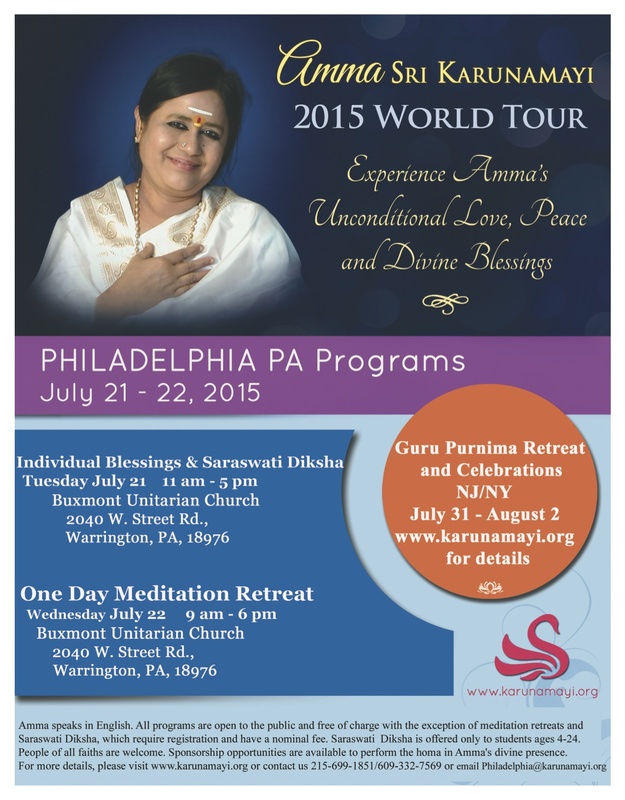 Amma Sri Karunamayi World Tour Stops in Warrington Bucks County July 21- July 22nd | Be Kind. We're all in this together. This entry was posted in Uncategorized and tagged @ammasrikarunamayi, Amma Sri Karunamayi 2015 World Tour, Amma Sri Karynamayi, Bucks County, Warrington PA. Bookmark the permalink.